The Sunshine Clear reverse osmosis drinking water system effectively reduces 95-97% of Total Dissolved Solids and other harmful contaminants. 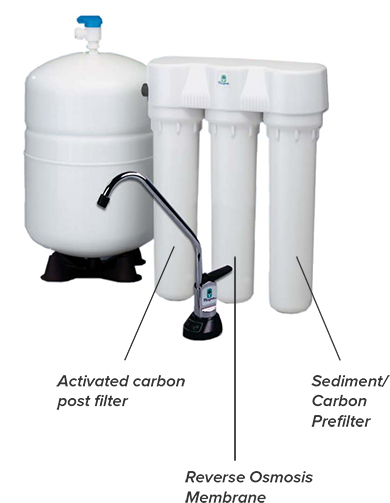 This compact space-saving system will reduce contaminants such as arsenic, nitrates, sodium, copper and lead, some organic chemicals, cryptosporidium, the municipal additive fluoride and many more. Give yourself and your family a virtually unlimited supply of amazing tasting, safe and convenient water, and if available run the water to your fridge for superior ice cubes too. Reduces contaminants such as arsenic, nitrates, sodium, copper and lead, some organic chemicals, the municipal additive fluoride and more.